Beekeepers tell us what needs to be done to protect a global bee population under threat. 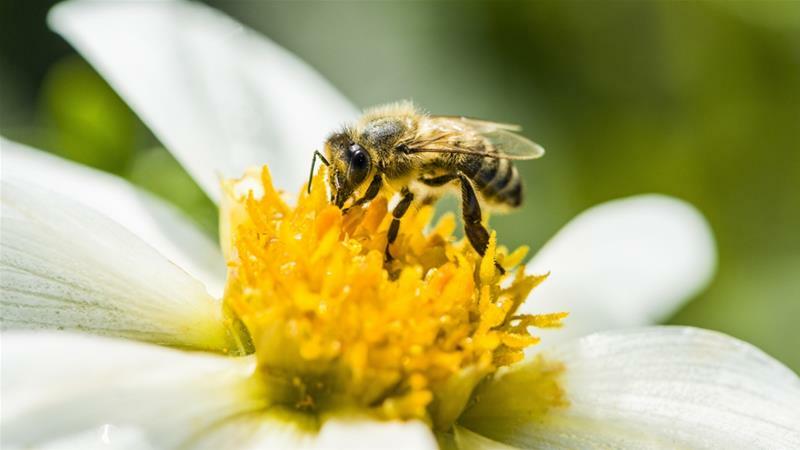 The UN's Food and Agriculture Organisation (FAO) estimates that out of about 100 crop species, which provide 90 percent of food worldwide, 71 of these are bee-pollinated. This is how important bees are to mankind. It's the beginning of another beekeeping season in New Zealand. The weather is heating up, flowers are in full blossom and bee hives are buzzing back to life after the long cold of winter. Known best for its farming exports, New Zealand relies on the busy work of bees to sustain its agricultural industry. But bees are not only integral to New Zealand. One-third of the world's food depends on bee pollination. So keeping bees alive is a big responsibility for people like Andy Cory, a beekeeper from New Zealand. "We have to literally live with these things over winter to keep them alive," he says. "There's no debate when it's pouring with rain that we're going out to the bees. There's no question, we just put the raincoats on and go." Today, Andy is hard at work re-queening hives at his property near Lake Karapiro on New Zealand's north island. It's a nasty process for the unlucky queen bee, but essential for Andy to maintain the quality of his hive. "We hope to raise about 1500 new queens this season," says Andy. "They will all go for Manuka Honey production." The beekeepers buying these hives all have orders for Manuka honey and they’re hives are dying and they’ve got to get bees from somewhere to fulfil their orders. It’s a purely financial thing for us; we’re not in the Manuka game, but there’s a huge demand for bees, so we’re just cashing in on the shortage of bees at the moment. Andy says beekeeping has changed dramatically in New Zealand in the past five years. Previously he was focused entirely on producing honey. Now he makes a living selling 1,500 hives a year of disease-free baby bees at $200 each. But the profit is bittersweet. Andy's business comes on the back of a devastating decline of bees across New Zealand and the buyers are beekeepers struggling to keep their own stocks alive. What is happening to the world's bees? Around 10 years ago, beekeepers around the world began to notice vast die-offs amongst their bees with entire colonies suddenly abandoning hives. Some scientists say the disappearances could be Colony Collapse Disorder (CCD), where worker bees abandon the hive leaving too few bees to maintain the colony. American bees have suffered the most from CCD. According to a survey conducted by agencies including the US Department of Agriculture, beekeepers in the United States lost 42 percent of their colonies between 2013-2014. If those losses continue, the industry will quickly become unsustainable. Although CCD has not been positively identified in New Zealand, something critical does seem to be happening. Today, no wild bees exist at all and last Spring, beekeepers in New Zealand's North Island reported that thousands of colonies of their commercial bees had mysteriously disappeared. Scientists are yet to pin down one single cause of CCD, but pesticide exposure, invasive parasites and mites, viruses and inadequate food supplies are potential factors. Other suggested causes include antibiotic use, long distance travel and electromagnetic radiation. Some believe the bee industry’s growing success could be part of the problem. From honey production to pollination, bees contribute an estimated $3bn a year to New Zealand's economy. The industry has ridden on the wave of Manuka Honey's popularity. Created from the pollen of the native Manuka bush, the honey is promoted worldwide for its therapeutic and health benefits. A 500g jar of Manuka is sold for more than $60 online. With such a hot market, new entrants are keen to exploit the boom. But these new producers can present additional problems to the situation such as overstocking farmland and orchards with too many hives. Comvita is one company that has been around for a while - of the biggest honey producers in New Zealand, it has specialised in Manuka for over four decades. The company's CEO, Scott Coulter, wants to see New Zealand introduce stricter hive quantity controls like those imposed on bee keepers in Australia. In Australia; they have very clear rules about a site; you are allowed so many hives on that site, but there are no further hives allowed within a certain radius. New Zealand’s still evolving that and Scott believes New Zealand still has some work to do. Currently in New Zealand, I can put my hive on one side of the fence because I’ve got an agreement with the landowner, but someone else can put theirs on the other side, but there is only so much nectar, so it doesn’t matter how much bees there are, you aren’t going to get more honey. I think the key driver of successful beekeeping in New Zealand has been economics; a beekeeper can make a decent living pollenating or producing honey and if they can do that they can afford to keep their hives healthy. That’s at the root cause of what the issue is states Scott. Unlike many scientists and other beekeepers Coulter is sceptical of the hype around CCD in New Zealand. He believes larger, commercial beekeepers like his company is the key to bee health because they can afford proper bee care. The large number of beekeepers in New Zealand includes a growing base of hobby beekeepers like Carol Downer. Carol runs beginner beekeeping classes in the capital Auckland, where urban backyard beekeeping is increasingly popular. Carol’s club membership has gone up by 200 members in the last two years. She really focussing conscious of what they need to know about disease; recognising what’s happening with the health of the hive and if it’s going to crash. But she is concerned that uneducated hobby beekeepers and those seeking to cash in on the 'gold rush' could inadvertently be jeopardising the health of New Zealand's bees. It’s also important the people also realise that it’s not just more bees that are needed; there must be food or the bees will starve. Planting nectar producing flowers for the bees is something everyone can do. Educating the public of the threats to bees here in New Zealand and globally is very important. We need to protect and nurture our bees, for they are crucial to the survival of mankind, and we can’t afford to wait. Taking the time to learn more about amazing world of the bees and the harmonious complexity of their society is simply fascinating for young and old.